Here is a bit of a peek at our 2011 boards, for this season we will be releasing a production line of boards along with our customs. "Pro", our top of the line freestyle board. "Wave", Mutant style wave board. And our light wind boards the "Glide". These will be available from selected retailers throughout Oz. I will give more details on each board model over the next few weeks. Will there be demo boards in Perth? Where and when? Custom runs still every week? Hi Mate, yep there will be demos in Perth, looks like Jason at west oz kiteboarding and maybe Darren from AKS will be our dealers for Perth. Yes Custom boards will still be done weekly. Also forgot to mention our new warranty, Tempo, FR , Pro and wave all have 3 year breakage warranty!! Thats a great warranty. Well done Cardboards, great Australian company, and the products are actually made here as well, from Australian materials. No problem doing custom stances, and yes our new boards have 152mm spacing so any standard pad/strap setup will fit. im really looking forward to these new boards! 3 year breakage warranty, wow! I got to ride the new 131x40 and 136x41 FR today :) Rode them back to back with the Carved Imperitor 4 134, Underground Styx 135 and the Balance 135 Wide. Nice looking boards - matt finish all over which is a huge plus for me, I hate smudge marks on boards... Nicely shaped channels on the bottom - square tips - and it's quite light. Quad concave or 'Qattro' as Cardboards call it - smooths the chop nicely without making the board tooooooo spongy... Rides like all quad concave boards, soft landings and a bit draggy in the light wind. Flex is pretty stiff, not Slingshot stiff, but stiffer than an Underground. Gives it good, sharp pop out of the water and keeps it riding fast. Fins are a different shape to what we see on most twintips, rounded outline and quite a thin profile, The 135 has 50mm and 131 has 40mm, Good combo's - boards aren't too skatey, or too grippy. Landings are soft and the concaves help to get the board tracking again. the 50mm in the bigger board tended to catch a bit easier of course. The footstraps are comfy too, stiff on the uppers today, but they'll soften over time as they get used. Lots of adjustment to make them bigger, and fitted snugly onto my size 8 feet at the tightest they go. It's got a nice cruisy feel, suited for the guys who are just happy to jump, do the odd kiteloop transition and blast about in the chop. 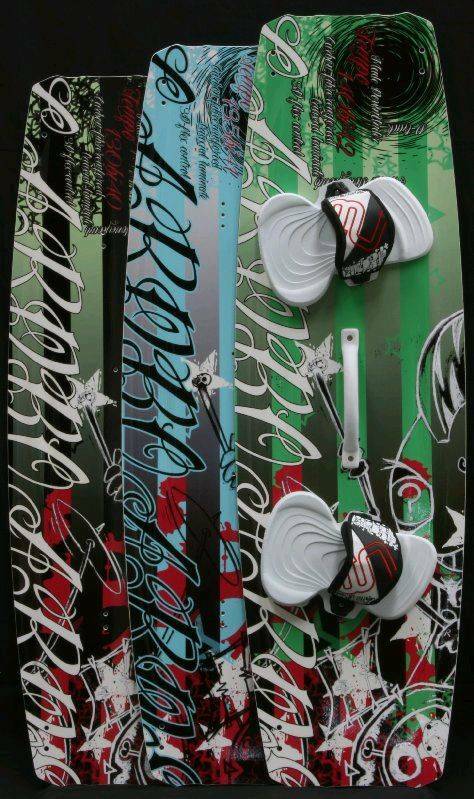 Good price too at $900 with the 3 year warrantee, puts it competitively within the board range. If you're looking to replace an old and battered board - or upgrading from your learners board - the 2011 FR would be a great choice. If you want a performance upgrade for more pop, or faster riding - you best choose something like the Tempo or Pro. Hi Rhys, yep the FR is designed for the everyday rider, it covers a wide range of riding styles and conditions. For the more dedicated wake style rider our Tempo would be the preferred option or if you like a fast freestyle board our Pro. Here's a pic from the boys up FNQ (compliments of Bretto from windswell Port Douglas) on recent trip to lizard Island, apparently the Tempo was a real head turner. so would the freeride be something to look at . i am ~95kgs , beginner to int looking to upgrade my board . Hey dusta, the FR boards are a great choice for intermediate riders, and wont hold you back when you want to advance into more aggressive riding like kite loops, unhooking etc. and being a fatty at ~95ish would you suggest 138 ? Hi Dusta, the sizes differ from last years. The new sizes are not yet up on our web site. The sizes for the 2011 FR boards are 128x38 131x40 136x41 and 141x42 i would recommend the 141 for you. Where in WA are you?, i will see if we have a retailer that can help you out. ^^^^ What sizes do you offer for the 2011 Tempo? Hi Mate, The Tempo will be in the similar sizes to last years, 130x40 135x41 140x42 and we are going to do a 145x43 for the big fellas. There has been many changes to the tempo, we have re-worked the outline a little giving slightly wider tips, a new more pronounced rocker line and concave to give a more wake feel and stiffened the board up a bit. Most importantly these changes have not made the board slow, we have have had riders doing GPS speed runs on a 135 Tempo of around 36 knots, that's pretty good for a wake style board! any pics of the Pro and what stance width options on the production boards? Hi, we are doing the final touches to the pro, should have some pics soon. Stance widths are Pro boards 660/610/560 FR are 620/580/540 Tempos 620/580/54 and slightly wider for the larger boards all these are measured center to center. Can you tell us more about the Wave mutant? Bottom shape? Light wind and upwind performance? I am looking at a mutant as an allround board with emphasis on light wind upwind riding and bashing around in onshore slop and surf. I am a bit tired of lugging two TTs and a surfboard on trips down the coast so a one board quiver would be good. I want the option of riding it backwards if I need to rest my legs or if want to boost a big jump off a wave on the way out and my toeside jumping technique is not so good. The other board I am looking at is the Mako King. BTW My most used board is my custom lightwind TT 135x48 that you guys made for me a few years ago. It's great in lightwind with a big kite or stronger winds with a small kite. It's quite fun in small, clean waves. Not so great for carving slashing turns in sloppy surf. could you also include details of rail shape, rocker(is it directional? ),core material used(is it all wood), whether the footstraps can be mounted straight and offset, fin size and style(can you get surf style fins for this?) 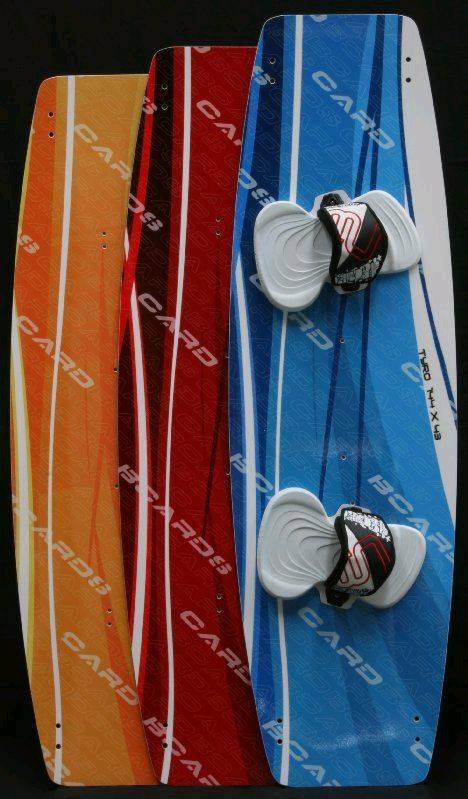 the back fins look like a thruster setup is this true? AKS will be placing an order for demo and stock in the coming weeks when we start getting some wind. We should have a decent number of demo boards soon. Cool to have some "home grown" products on our shelves alongside of our North and Airush boards. Bring it on, we're stoked! when we start getting some wind. 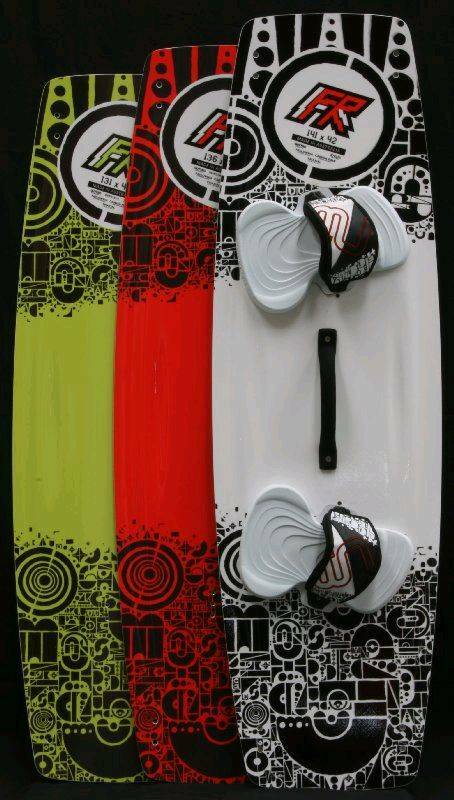 Hey Guys, the Wave is mutant style, it has 2 50mm nose fins and a thruster setup with 80mm surf G10 fins. The hull shape is double concave and the rails are thicker shaped soft rails through the mid section through to hard in the tail. we will not be doing custom sizes on the wave board unless we have the demand for it. Here is a pic of the base with tail fins. Sorry its a low res pic! looks like a sweet board. Is the rocker directional or symetrical? rode my new FR 131 on the weekend. great pop, minimal splash in chop, and super fast! cant wait for my 135 tempo. iiittttttccchhhing!! Bloody nice boards and aussie made - even better! Can i take the 135 tempo for a ride Retzy, I will look after it promise. i love you waxy....but where did you end up when your english classes started at school!!!! 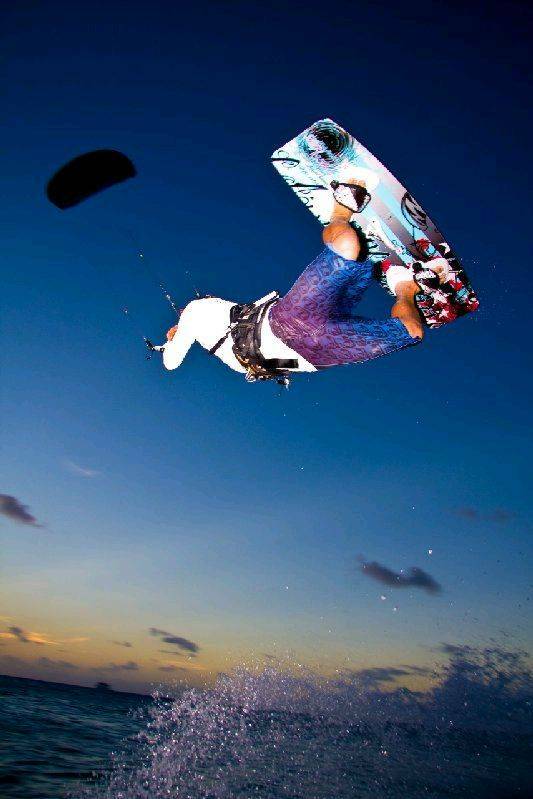 Cant wait to get in the boots either.....cant wait for you to be back on the water....funtimes on the way yeewwwww!!! and your 2nd to use the board!